So. The dwarves start out with a finite strength and zero mass, like some kind of muscle singularity, and then become progressively more mortal until they are born. ^Yes, that sounds about right. "Muscle singularity" is a dwarfy pairing of words if anything. I wonder if dwarves subconsciously remember being the most powerful being in their universe and after maturing nothing really feels right? It's probably why they drink so much. Going to assume it's unethical to test traps on dwarven criminals. "D Class" I love that. I'm not exactly sure how many people here are SCP fans anymore. Probably something I should ask in a thread. I mostly do this because these, "D Class" dwarves beat someone up in a tavern and all my Captain of the Guard is willing to do is cheer on the fight in the background. I have one dwarven child right now who had both of his parents die in tavern fights. Any dwarf that hates easily and loves brawling pretty much has to go. My unruly dwarves usually volunteer for naked cavern/hell mapping duty in Dwarven Geography Department's special one-dwarf squads. It pacifies them quite nicely. I usually have the caverns explored as soon as I breach them. 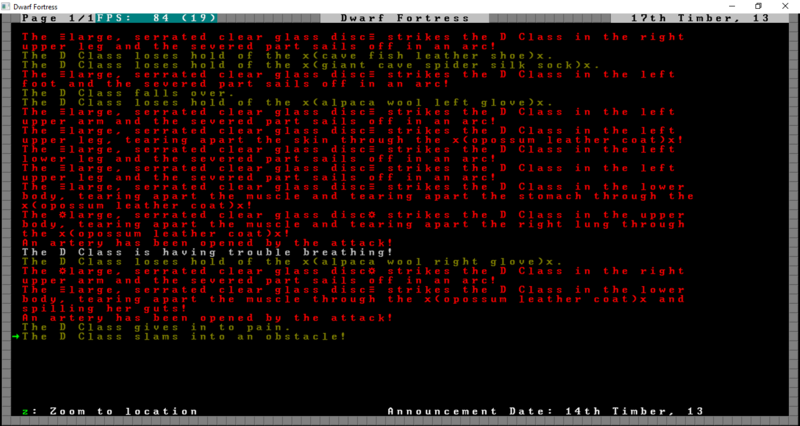 When I have unruly dwarves, I replace the usual wimpy captain of the guard with the beefiest dwarf in the fortress. The troublemaker is then beaten to death. Problem solved! I usually have the caverns explored as soon as I breach them. Ah, but mere mapping doesn't mean the end of science. There's tagging Blind Cave Ogres, counting Voracious Cave Crawler populations, supervising Cave Crocodile breeding grounds... and of course testing out the syndrome effects of that new FB that just entered the cavern. Lots of exciting things to do in the Geography Department's heroic Dwarven Extreme Depths Defence Operations Research Force (D.E.D.D.O.R.F)! Speaking of, I still have an insane axedwarf chained up in the justice tower basement. I'm thinking of building a new justice centre under the where the palace is going, should I turn the old one into a hospital so our fallen hero can receive the care and respect he deserves, or turn it into a zoo? I have decided to declare war on humans by killing the guild representative. I want to test out these traps, and I made the mistake of making a beast-heavy world that does not contain goblins. If it works on humans, awesome. I'll then move on to bigger targets. I can't manage to get my dwarves to transfer critters out of cages or out of chains....Argh. Been away forever. Started a new fort- finally has iron. No coal, but it's in a jungle, so that's not too much of a problem, though balancing charcoal on one side and tons of furnaces on the other is a pain. Trying to anger the elves to fast-track the training of my military. Equipped them all with steel now, all of it high level. Lots of masterworks. Just one problem: a vampire came in with the latest migrant wave, and killed off some fisherdwarf of no other skills. After half an hour of searching through my fortress for the one who had not recently had a drink, I found the vampire and rapidly incarcerated her. Now I'm going to make a few more vampires out of otherwise useless Urist McFishers and Urist McNobodies. My plan for finding the vampire? My partially-cave-adapted dwarves had recently run out of all forms of alcohol, and been reduced to trekking to the stream for a drink. This stream had been polluted with vomit: therefore any dwarf would have the "disgusted when forced to drink vomit" thought. Except the Great Marksdwarf I had gotten with tons of novice skills and a few more "former member of" tags than other dwarves, as well as tons of absurdly high social skills. I swear I thought as I checked that one that she might be an issue sometime. Thing was, she was pretty old and also had no children, which was odd as I have 4-6 babies every spring, lol, and this fort has had no single dwarves come in, all of them have spouses and hordes of 2-year-olds in tow. And since I locked her in a room and set her training .... she's not hungry, thirsty, or biting any Legendary Armorsmiths/Weaponsmiths... which is good as I have just one who is soon to be Legendary in both. Just have to get the steel battle axes, shields, and armor sets deposited to get her and her soon-to-be-roommates equipped properly. Can't wait to see how this goes. I think I'll build a second tavern and experiment to see if bartenders really do serve alcohol to vampires. If so, I'll simply add more vampires to that population to suppress their need for alcohol. 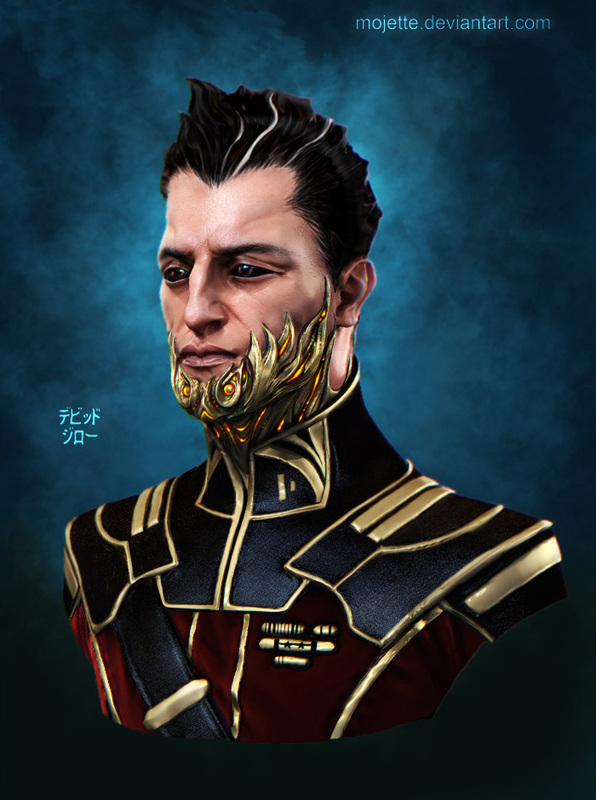 One eternal bartender and 10 eternal superdwarvenly supersoldiers? Heck yeah! Next migrant wave has been assigned already, lol. Just need to equip these dwarves before consigning them to vampirism. Now ... wooden spikes, or iron spikes? These are important questions ... mwahahaha - also the elves have brought me a single rattlesnake, and also a gray langur who tore a goblin snatcher apart. Monkeys are useful. So I'm trying to steal from the elves, offer them wood etc. to anger them and get me some swordbait. Great. The prince is only a year old and he's already an egomaniac.